Fat Cat Kitten Little Catnip Toy may be petite, but wait! They are fortified with Zoom Around the room high test organic catnip that drives even the most potato-like (as in lumpy couch potato) cat into a sweet frenzy of the highest level! 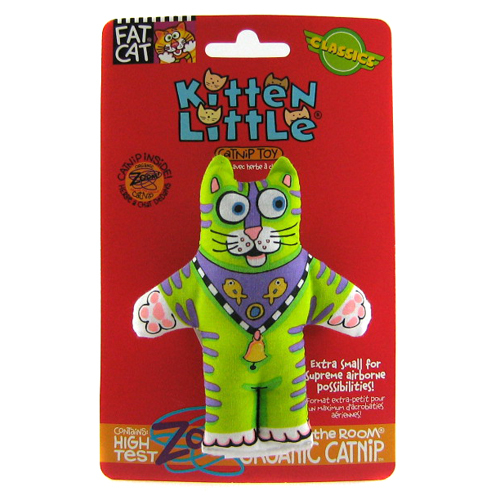 Fat Cat Catnip Toy will definitely provide your kitty with hours of wild and vigorous play! Assorted colors. Funny looking and my cats love them. Machine washable too.